Living a Fit and Full Life: Add Elegance to Any Home with Petals Silk Flower Arrangements, Artificial Trees, Silk Plants and Coordinating Containers! Add Elegance to Any Home with Petals Silk Flower Arrangements, Artificial Trees, Silk Plants and Coordinating Containers! With over 30 years of experience, Petals (formerly Silkflowers.com) is your complete source for decorating and lasting gift ideas - offering a superior selection of designer-quality silk flower arrangements, natural looking artificial trees, lifelike silk plants, coordinating containers, all shipped factory direct to your door. 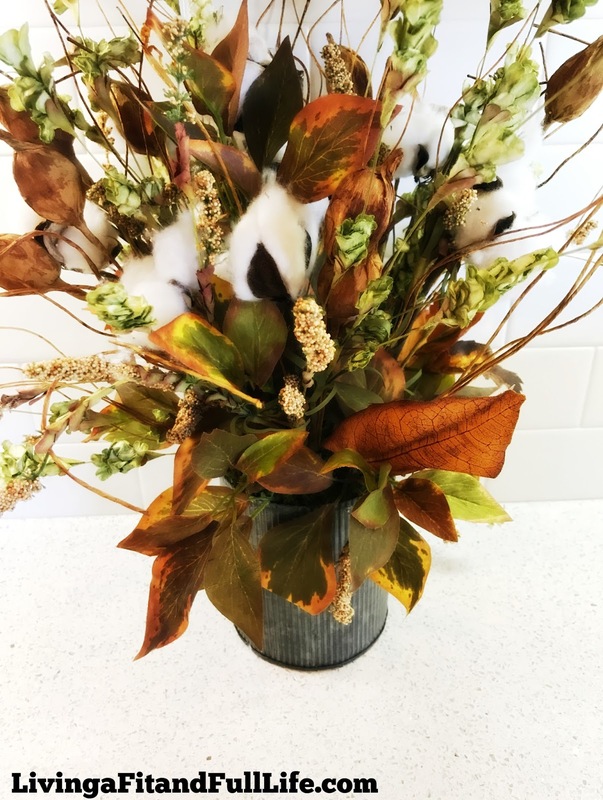 Handcrafted in the USA by Petals silk floral artisans in our Cincinnati, Ohio facility, our beautiful silk flower arrangements, plants, and trees are designed using only the finest silk flowers and artificial foliages available. Petals products arrive expertly packaged, ready to display right out of the box, hold their natural beauty for years with little to no maintenance, and are a cost-effective and allergy-free alternative to live botanicals. This rose nosegay not only looks like the real thing but feels like it too. As in the Victorian era, the buttery soft petals of these lifelike silk roses are tightly nestled in a 5" bubble ball vase and will prompt a second look. But unlike their live counterpart, our silk roses are arranged in crystal clear acrylic water which captures their beauty for a lifetime. 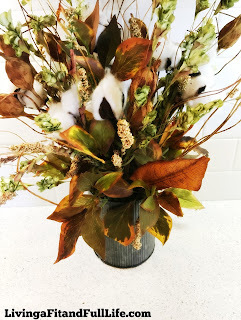 Relish the warming aura of a natural country palette when you decorate with our wonderful Cotton and Hops centerpiece. Faux cotton stems, with silk grape and magnolia, lend a cozy, farmhouse ambiance to your home. Arranged in a 5.5" galvanized metal container, this artificial centerpiece provides the perfect complement to our wreath, swag, and garland. Add elegance to any home with Petals silk flower arrangements, artificial trees, silk plants and coordinating containers! Petals Rose Nosegay Silk Flower Arrangement and Cotton & Hops Artificial Centerpiece Arrangement are absolutely beautiful and truly would fit in with just about any decor. What I love most about them though is the they don't look fake like many artificial flowers and centerpieces. I also really love how just adding them to any room really seems to brighten the room and make it look more put together. I moved into my new home about 7 months ago and really haven't even begun to decorate. 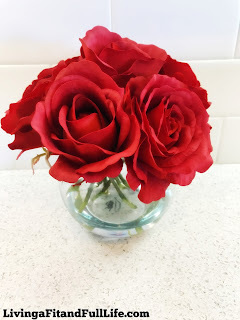 I placed the Petals Rose Nosegay Silk Flower Arrangement in my guest bathroom and the Petals Cotton & Hops Artificial Centerpiece Arrangement in my master bedroom and cannot even believe how cozy and put together those two rooms look just by adding those pieces. Petals Rose Nosegay Silk Flower Arrangement looks absolutely stunning and the petals even feel real. The Petals Cotton & Hops Artificial Centerpiece Arrangement looks simple, yet really is a beautiful piece. If you're looking to add a little elegance or even a touch of beautiful home decor I highly suggest Petals Silk Flower Arrangements, Artificial Trees, Silk Plants and Coordinating Containers for all your needs. They have an amazing selection and I'm absolutely positive you'll love them! Click HERE to learn more about Petals! 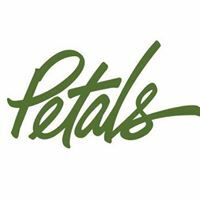 Follow Petals on social media!